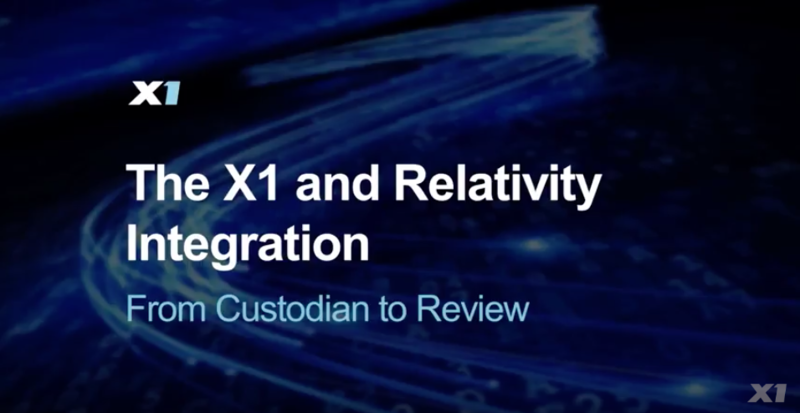 X1 Insight and Collection addresses a critical part of the eDiscovery process, by enabling enterprises to search across all their unstructured data with lightning speed and directly upload their targeted collection into Relativity, including RelativityOne. This revolutionizes the enterprise eDiscovery collection and ECA process with a highly targeted and efficient search and collection capability, providing immediate pre-collection visibility into your data. X1 achieves this with a unique distributed computing architecture based upon our proven endpoint search index technology. All data is indexed in place, including email containers and Zip files. X1 solves the problem of inefficient, time-consuming and expensive eDiscovery collections.